For many industries, auto dealers included, adapting to new buying behaviours means shifting marketing and advertising to the digital realm. Auto dealer internet marketing has been on the rise for years, and if you haven’t already invested, now’s the time to get on board. Here are some reasons why you should invest in auto dealer internet marketing. People are on the internet, especially on social media. These days, everyone does research before making a purchase. You want to have some control over what people find, so having an active social media account (or multiple accounts) is beneficial. When typing in “local auto dealer” brings up your communications with dozens of satisfied customers, a potential new customer will see it. And when they’re scrolling through the feed, they’ll see your Facebook or Instagram ad as well. Generating data is difficult with offline advertising. How do you know how many people saw your billboard ad or what impact it had on sales? Digital marketing enables you to generate rich data to inform your decisions. Watching how people find your website, their habits once there, and what ultimately leads them to either visit in-person or make a purchase can help you adjust your marketing strategies and assets to better capitalize on your audience’s behaviours. By the time your print media advertisement hits the stands, that vehicle you painstakingly took pictures of may have already been sold. Anyone who comes to your dealership for it will be disappointed. But with digital marketing, you can keep your advertisements up to date with a dynamic inventory management platform. All across the web, from Facebook to Google searches to third-party websites, your inventory is kept up to date in real time, which means fewer disappointed customers. A big part of auto dealer internet marketing is social media. First, as we said, it’s where the people are, so advertising there can have a significant impact on sales. Second, it’s a great space to maintain relationships with former, current, and potential future buyers. You can create and become a part of communities and develop quality relationships that will lead people to purchase from you when their time is right. But it also allows you to position yourself as an expert in your industry. By sharing blog posts and advice, you can demonstrate how knowledgeable you and your sales reps are—which creates goodwill and trust with potential customers. When you focus on creating digital marketing assets, you are creating content you can continue to use over and over again. You write it, post it, and get some good traction on it. But it doesn’t go away. People may continue to find your articles for years, creating a snowball effect that brings in more leads. If it’s valuable content, people will also share it, causing your reach to stretch farther and farther. Auto dealer internet marketing is the future. 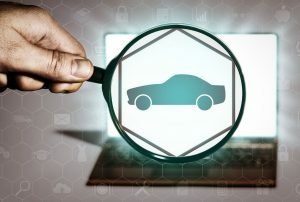 Whether on the move or just sitting at home, when people think about buying a car, they can start doing their research online. You want to be there when they do this to help guide the conversation and support them along their buyer’s journey. The results will mean better revenue and success for your dealership.